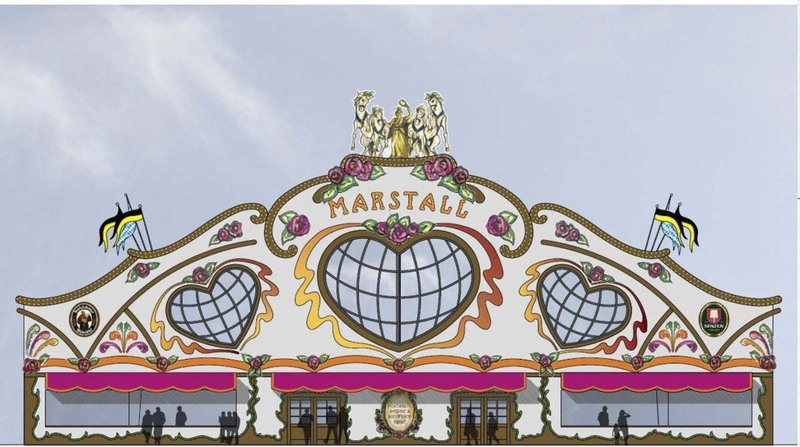 The Marstall is the Oktoberfest’s brand new tent that will be opened to the public in the next 2014 edition replacing the famous “Hippodrom” closed in 2013 for tax issues. A new tent wasn’t introduced since 1995 edition (with the introduction of Winezelt) and this is a new record. The first edition of the Oktoberfest was made for celebrating the marriage of Theresa of Bavaria and prince Ludwig with a huge horse race in the field now known as Theresenwiese. The Marstall is based on this concept, bringing within it’s magnificence, this tradition raised with a giant horses sculpture on the roof of the tent and continued by many referencies inside. The name Marstall is a recall in memory of the old Leo Klenze’s stable used by rich Bavarians for having some horse tour. The tent manager isn’t an Oktoberfest noob as many can think, he’s an ex-waiter in the small tent “Kalbskuchl” until 2013, that has realized his life dream with the brand new Marstall. All this ancient tradition is mixed with the modernity linking the history with the haute cuisine accompanied with two beer choiches: Spaten and Franziskaner Weissbier and a full list of wines. The Marstall is divided, as mainly happens with the others tests, in two zones: The inside zone, more spacious that can handle up to 3200 seats and a smaller external zone with a capacity of 1000 seats. 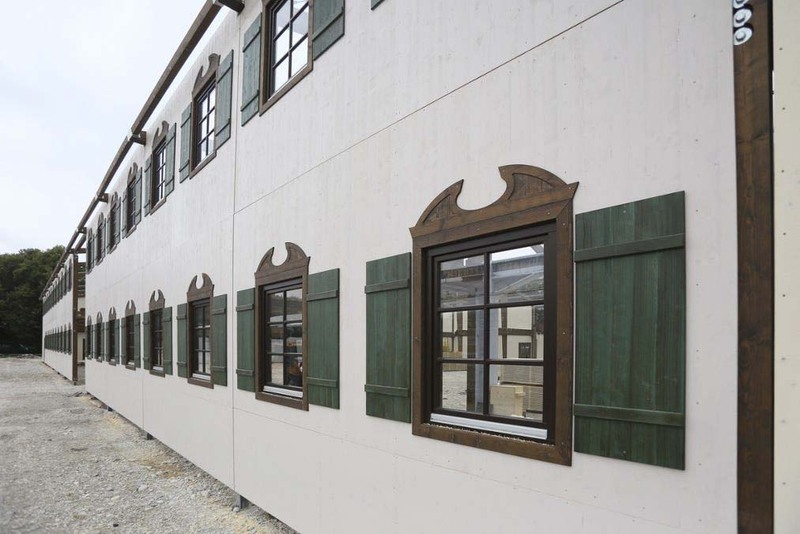 It’s modernity consists also in technology indeed it introduces some great improvements: the roof is almost completely transparent, made of opening panels that helps the air flow inside the tent, the perimeters are filled with many bavarian-styled windows instead. 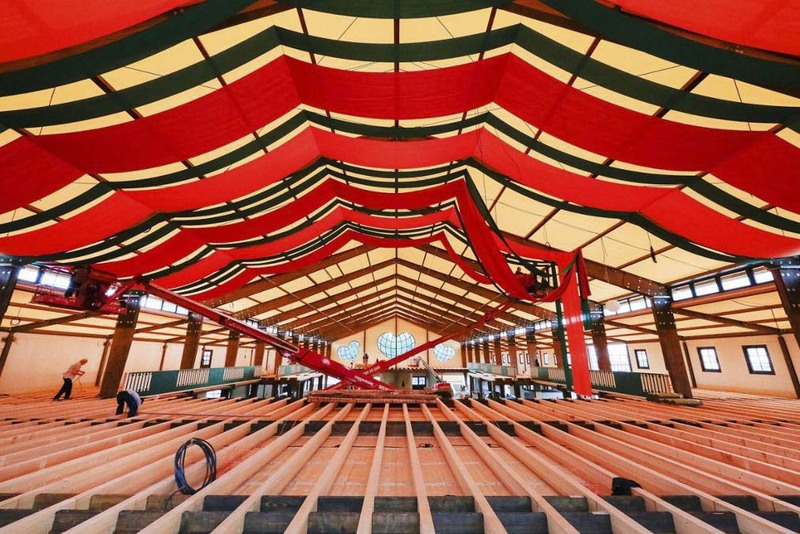 Both of this aspects help the Marstall to become the most bright tent of all Oktoberfest’s times.